Sponsored by Memories Bridal & Evening Wear in partnership with Girl Scouts Heart of Michigan, The Cinderella Project of Kalamazoo is a one day, annual event that provides free prom dresses and accessories to local high school young women in need. 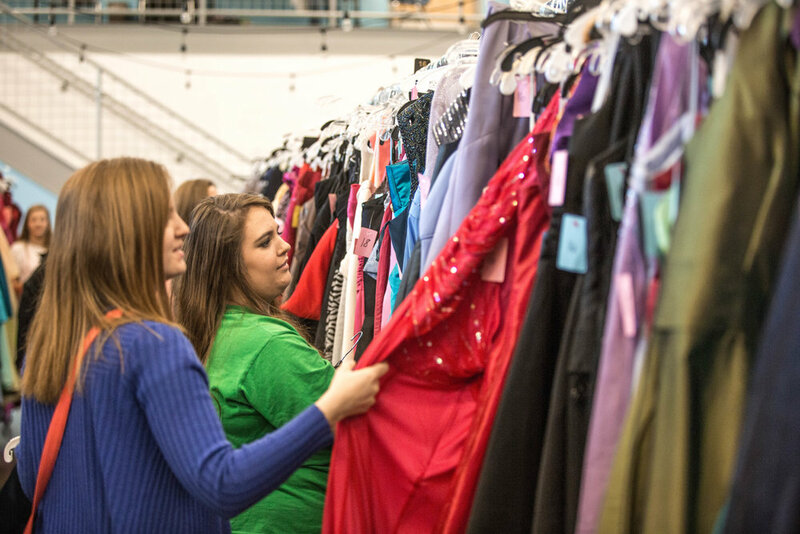 Originally founded in 2006 as a partnership between Memories and The Junior League of Kalamazoo, each year The Cinderella Project has given away hundreds of beautiful dresses to help young girls’ prom dreams come true. Our goal is to make sure every young lady that wants to attend prom has the opportunity to do so no matter what her personal or financial hardships. We are an open call event meaning any high school girl that needs our services is welcome to attend. We operate on the honor system, so no proof of financial need is necessary. Please bring a valid school ID (or proof of enrollment) as this event is only open to girls currently enrolled in high school. All girls must attend in person to receive a free dress. 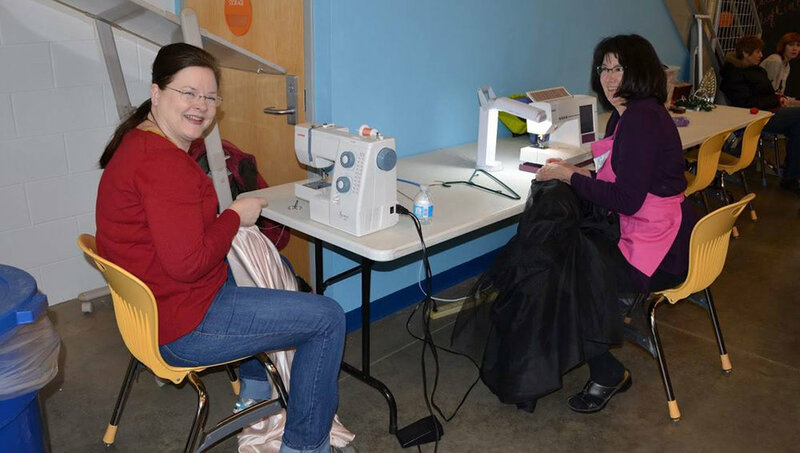 Our 2019 dress giveaway event was held on March 22, 2019. 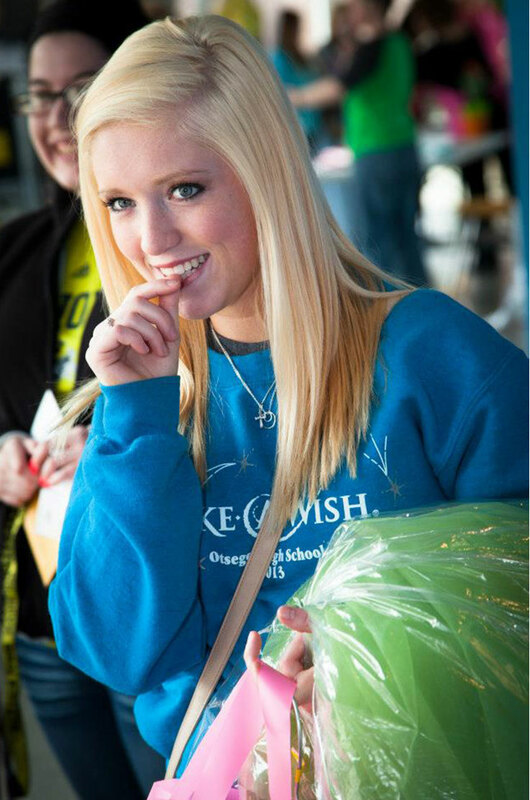 This year we helped make prom dreams come true for a record 283 girls from 62 different schools! Thank you to our donors, sponsors and over 100 volunteers who helped make this event such a success! This annual event is held at the Girls Scouts Heart of Michigan, 601 W. Maple Street, Kalamazoo, MI 49008 and typically happens in late March. Follow the Cinderella Project on Facebook for the most up to date information. The Cinderella Project is a community wide event only made possible by the generous donations of gently worn prom dresses and accessories. 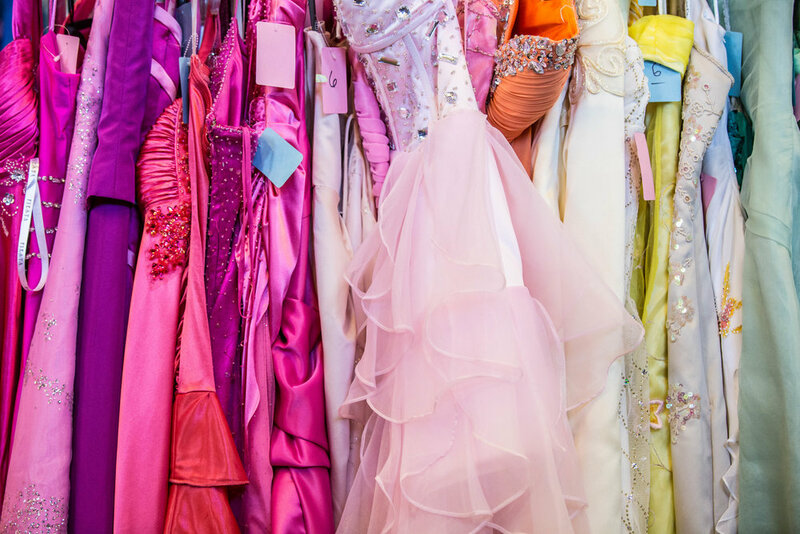 If you would like to clean out your closet and help make prom dreams come true, dress and accessory donations can be dropped off year-round at Memories Bridal & Evening Wear in Downtown Kalamazoo or seasonally at The Prom Shop by Memories at RiverTown Crossings Mall in Grandville. Monetary donations are also helpful and especially in need to help purchase additional plus size gowns to fill in the donation gaps. Please use the link below to contribute. 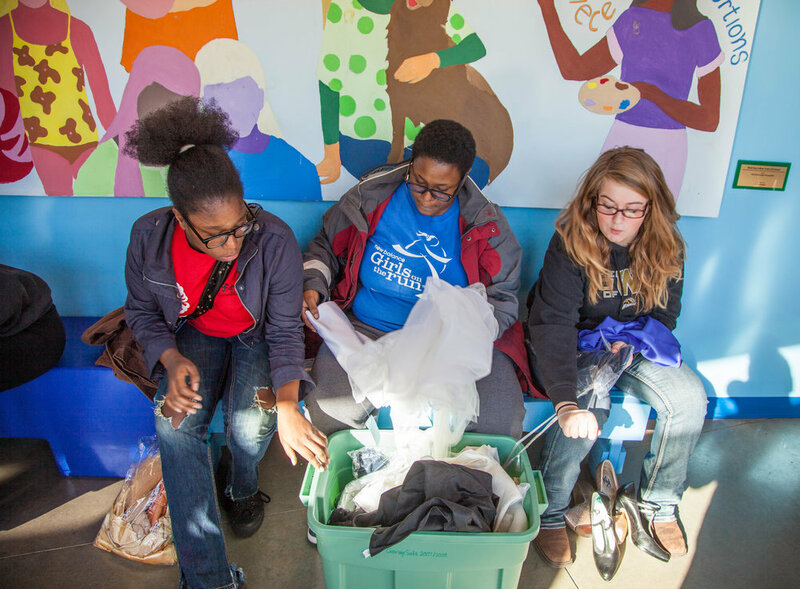 The Cinderella Project of Kalamazoo is a 501C3 non-profit organization, and all donations are tax-deductible. 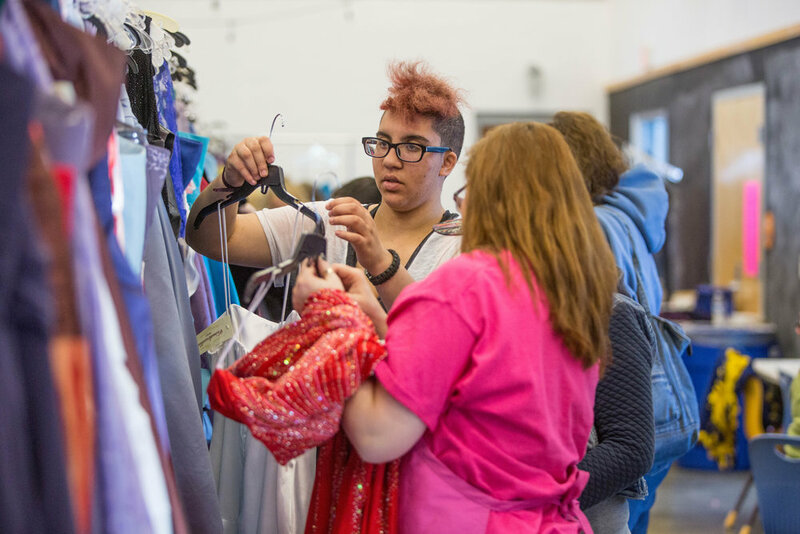 MLive: Hundreds of teens find free prom dresses at Cinderella Project of Kalamazoo -For many high school juniors and seniors, prom is fairy-tale night filled with beautiful dresses, flowers, music and friends. But the price tag on a perfect prom can break a budget. 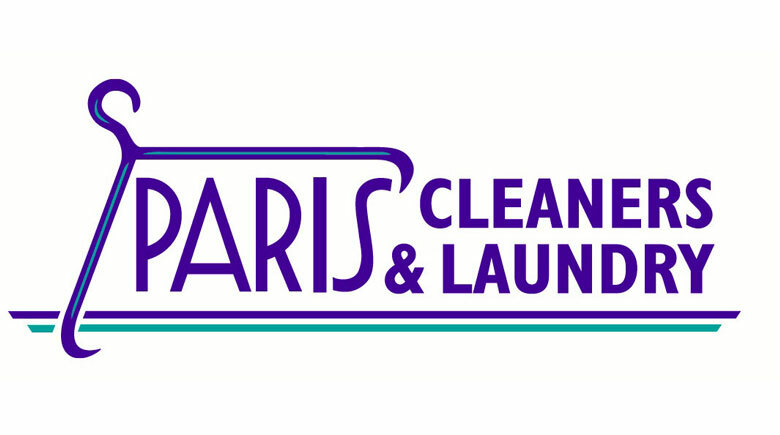 …eliminate some major expenses in the nonprofit’s effort to ensure every girl can feel like a princess at her prom. 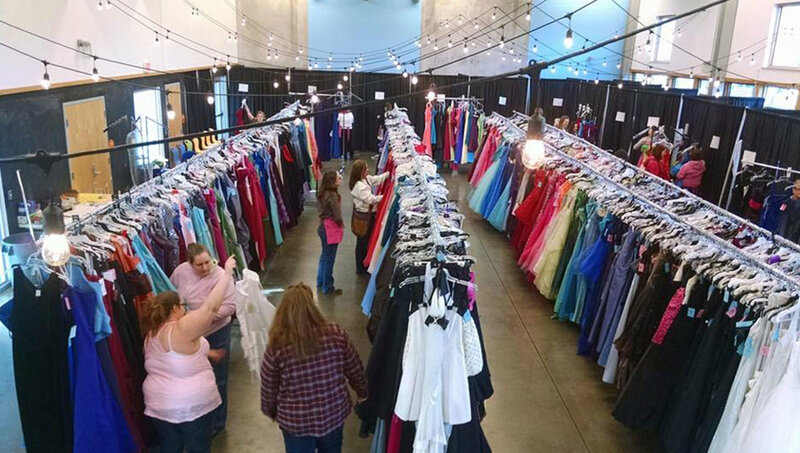 WOOD TV: Cinderella Project to offer free prom dresses — An annual event aimed at making prom both affordable and memorable for Kalamazoo-area students will make its return Friday. 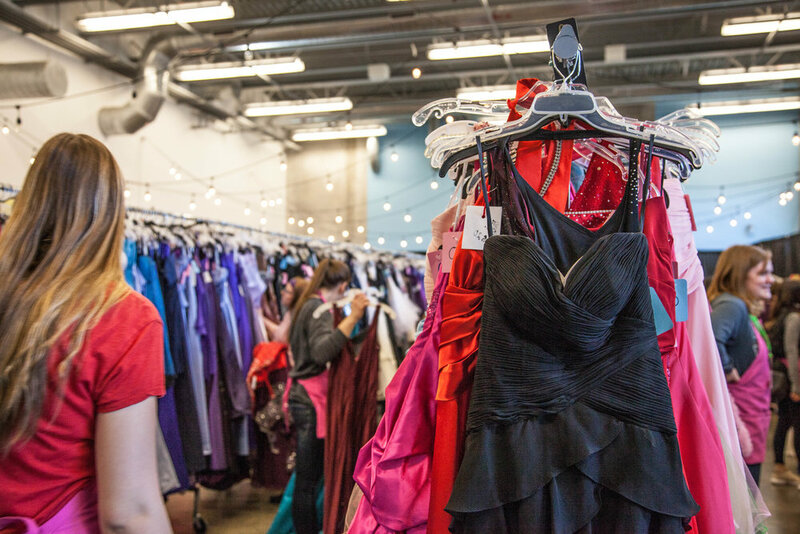 The Cinderella Project will offer over 2,200 prom dresses and accessories to high school juniors and seniors. 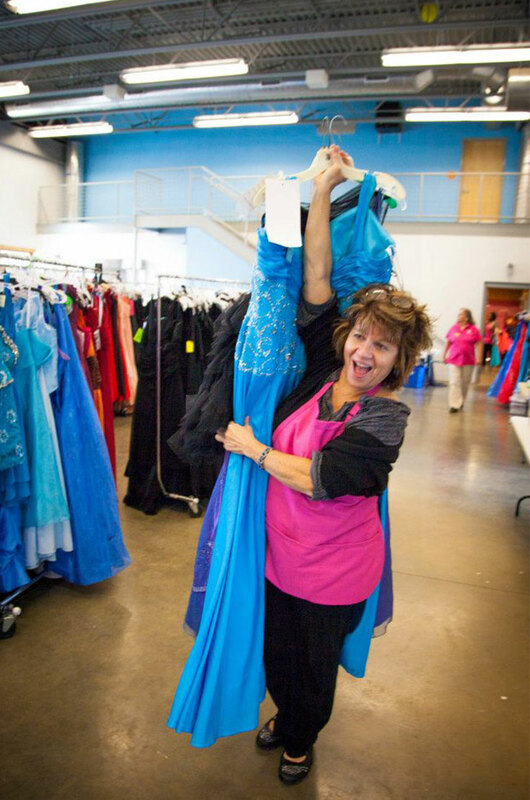 WMMT News: Cinderella Project to distribute free prom dresses in Kalamazoo. 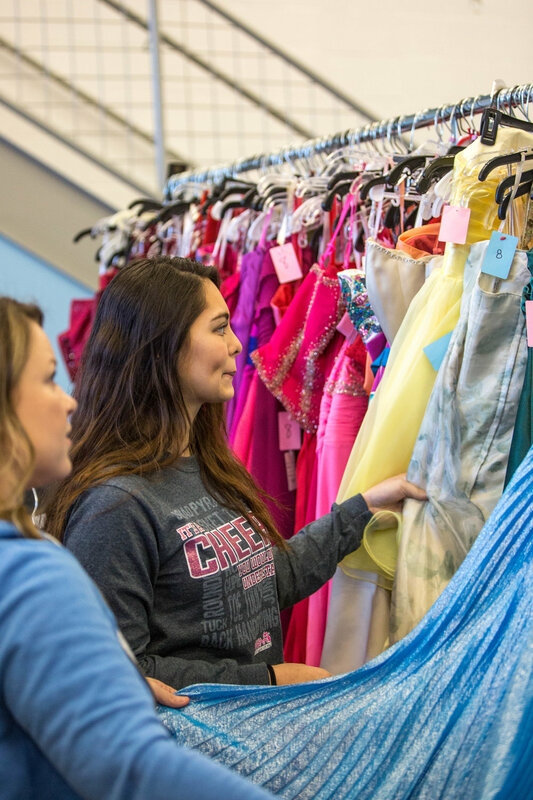 Over 2,000 prom gowns and accessories have been donated to the Cinderella Project this year, in order to be distributed to high school girls in need. WOOD TV: Making prom possible - The Cinderella Project KALAMAZOO, Mich (WOTV) - Prom is an event young people look forward to each spring. But what do teens do when they can’t afford to buy a prom dress? Thanks to the Cinderella Project in Kalamazoo, teens can get free prom dresses and accessories. 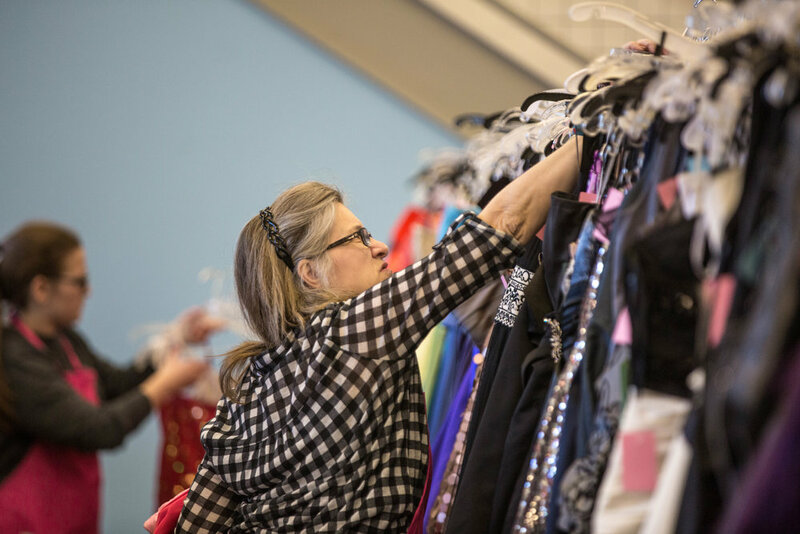 MLIVE: Cinderella Project of Kalamazoo will offer teens free prom dresses KALAMAZOO, MI -- An event to insure every teen can feel like a princess on prom night will return to Kalamazoo for its 13th year Friday. This event provides Free Prom Dresses to local high school girls who otherwise would not be able to afford to attend their own prom. 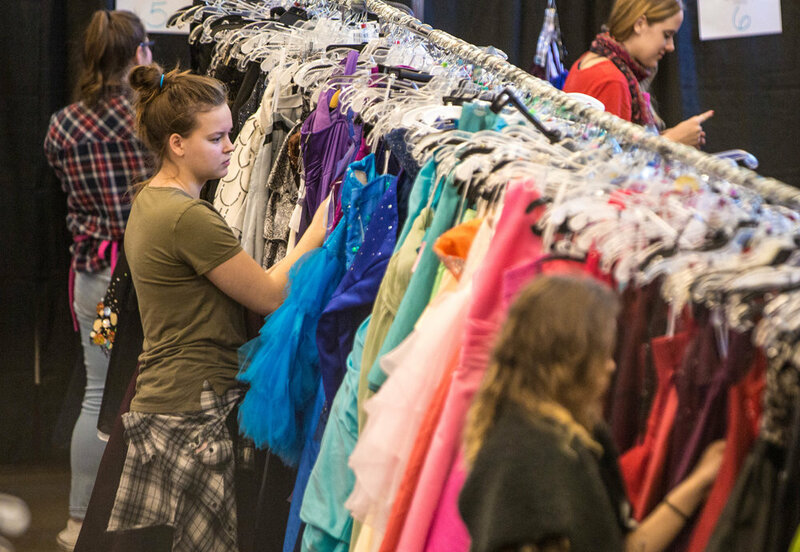 Fox17 News: Cinderella Project giving away prom dresses GRAND RAPIDS, Mich. -- Organizers at Cinderella's Project in Kalamazoo are giving away up to 2,000 prom dresses during a special one day event. 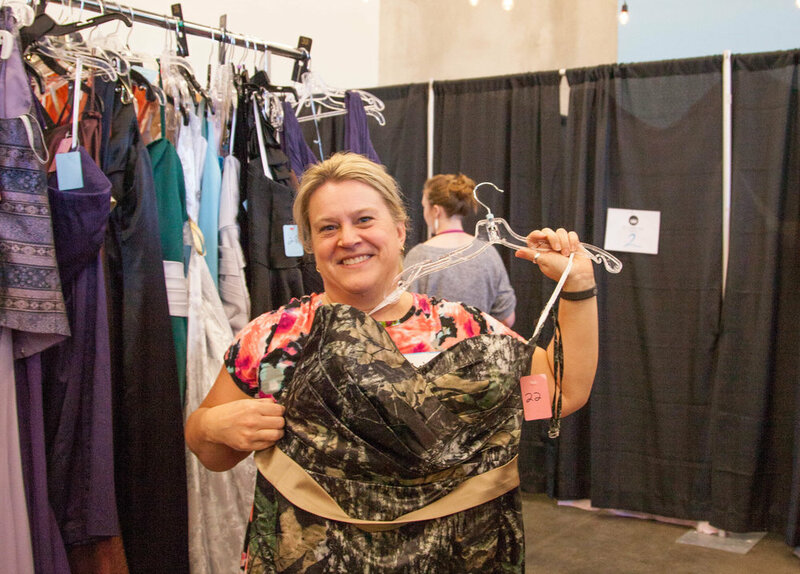 WOOD TV: Cinderella Project provides free prom dresses to teens﻿ KALAMAZOO, Mich. (WOOD) — Prom is an event young people look forward to each spring. 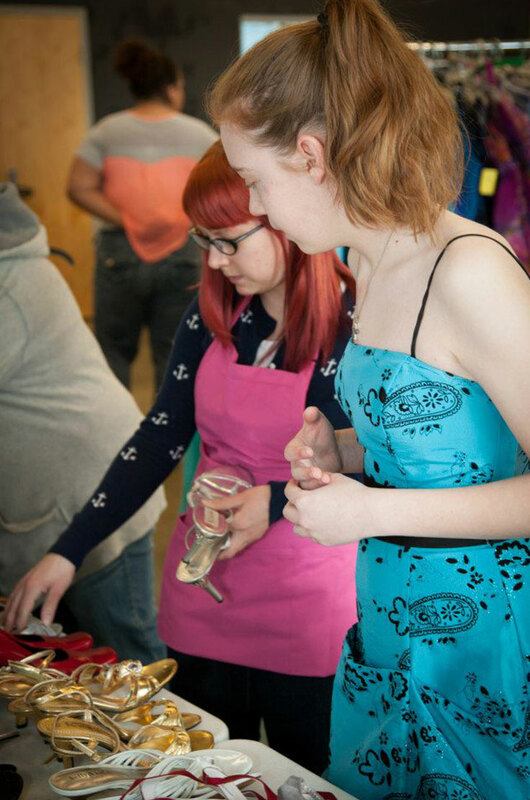 But what do teens do when they can’t afford to buy a prom dress? 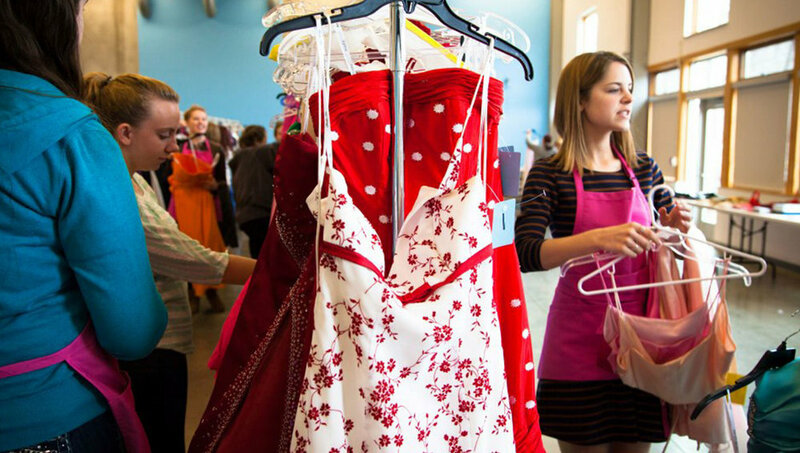 Thanks to the Cinderella Project in Kalamazoo, teens can get free prom dresses and accessories. WWMT: Cinderella Project in Kalamazoo Helps Girls Feel Like a Princess for Prom﻿ KALAMAZOO, Mich. (NEWSCHANNEL 3) - Memories Bridal and Evening Wear handed out free prom dresses that the Girl Scouts building on Saturday as part of their 11th annual Cinderella Project. 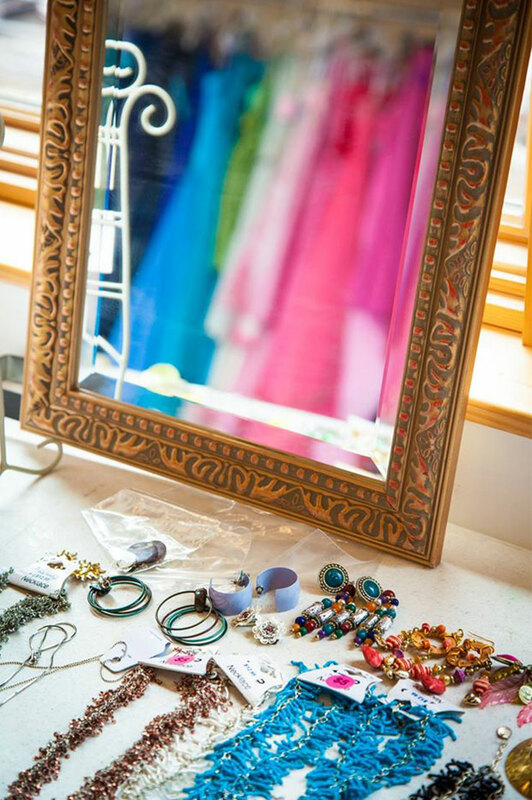 The Cinderella Project receives donated gowns and accessories and then offers them to girls who normally could not afford prom dresses, eliminating the financial burden that usually accompanies prom. 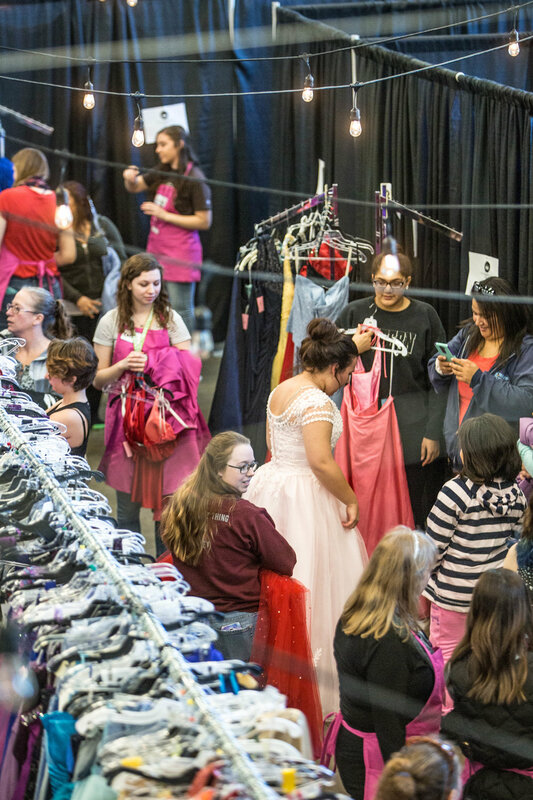 KALAMAZOO, Mich. -- Hundreds of girls walked away with free prom dresses during the 11th annual Cinderella Project in Kalamazoo Saturday. 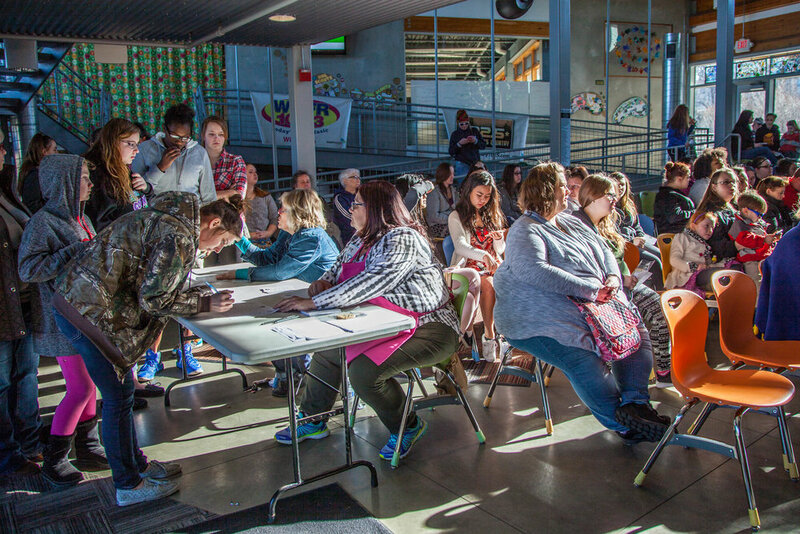 The Girl Scouts Heart of Michigan in Kalamazoo hosted the event as the girls said yes to the dress. 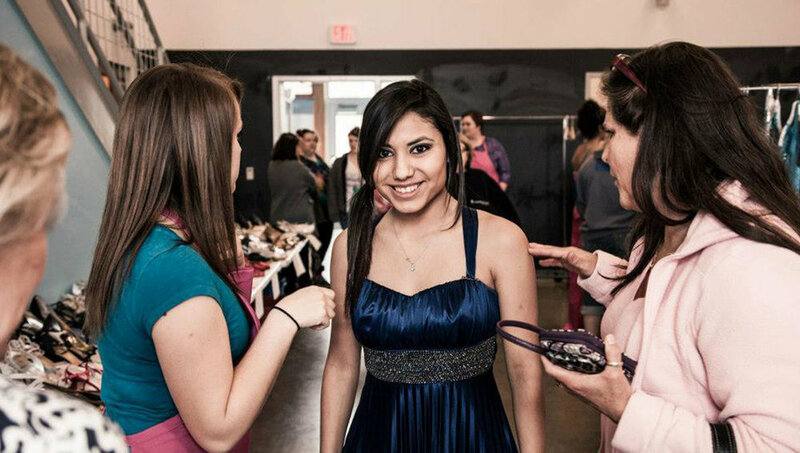 The Cinderella Project helps girls who can’t afford to attend prom, do just that. KALAMAZOO, Mich - It's prom season, and that means pretty dresses, tuxedos, and fun times with friends. But for some teens, that perfect dress seems out of reach. That's where The Cinderella Project comes in! Saturday, March 26, any high school girl in West Michigan can get a prom dress for their special night, free of charge! KALAMAZOO, Mich. — Cinderella made it to the ball with the help of her fairy godmother. With the wave of a wand she donned a sparkling new dress, free of charge. 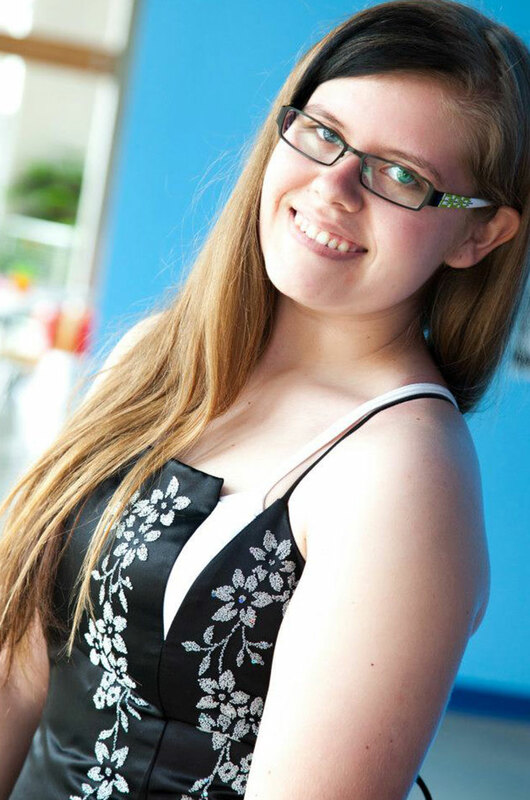 Adrienne Wissner and her staff at Memories Bridal and Evening Wear have become fairy godmothers of sorts to a lot of teenage girls who cannot afford to go to prom. They’ve given the girls the dress of their dreams … for free. KALAMAZOO, MI -- Eight years after she founded the Cinderella Project of Kalamazoo, Adrienne Wissner, still remembers one family in particular. "I remember this family that was having a lot of personal issues," Wissner said. "They had someone commit suicide; (one parent) had lost their job. They were in a hard place, but wanted to give their daughter just a bit of normalcy."